76-year-old Ann buries her 125 lb squats. In 2017, the fitness industry is vibrant, strong, growing, and changing. Much of what goes on is silly and counterproductive, but the importance of exercise for a healthy life has never been better-documented or more on the mind of the public. A particularly important demographic has emerged—adults in middle age in beyond, who are getting the message that healthy aging is strong aging. They are numerous, affluent, and disciplined. They’re a profitable, dependable and very satisfying demographic, and the wise coach will be prepared to work with them. We call them Masters Athletes. In our book, The Barbell Prescription, we lay out the rationale for barbell-based strength training for adults over 40, introduce the reader to the exercises, and present programming principles, templates, and applications for the Master. Programming principles for Masters are generally the same as for anybody else, nothing more or less than a productive exploitation of the Stress-Recovery-Adaptation cycle. But there are a few wrinkles. In Masters coaching practice, we have found that trainees in middle age and beyond are a far more heterogeneous group than younger trainees, and require more attention to individual factors. You will find more variability in mobility, work capacity, medication history, and other parameters in 100 Masters than in 100 twenty-somethings. Field experience teaches us that Masters tend to require more recovery than younger lifters. And we find that Masters, once they achieve a level of loading, require more frequent exposure to that loading than younger athletes to maintain gains. We refer to this as intensity dependence. Experience also informs us that, as a population, Masters are volume sensitive. Masters tend to have less tolerance for high-volume, high-frequency work than their younger counterparts, and thus tend to derive less benefit from it. This principle, derived from a bit of physiological reasoning and a lot of actual field experience, allows us to make intelligent programming decisions for Masters, especially intermediate and older Masters, so that we can make them steadily stronger over the long haul, without hurting them, overwhelming them, or losing them as clients. So it’s important. Allow us to elaborate. The components of volume are reps, sets, and frequency. The more reps you do over a set, workout, or training period, the greater the volume of that set, workout, or training period. It is a critical training variable for the imposition of a training stimulus and progression through the Stress/Recovery/Adaptation cycle. Volume is a prime factor in tonnage, or the volume-intensity product, and as such a change in volume constitutes an important alteration in the training stress. In the novice phase, this factor is held constant, with loading being increased from workout to workout. As the trainee progresses past the novice phase, the "volume knob" is unlocked, and volume manipulation becomes critical to sustained progress over longer, more complex training periods. 70-year-old Carson on the platform with 315. We think it self-evident that, in general, more volume imposes a greater training stress than less volume. 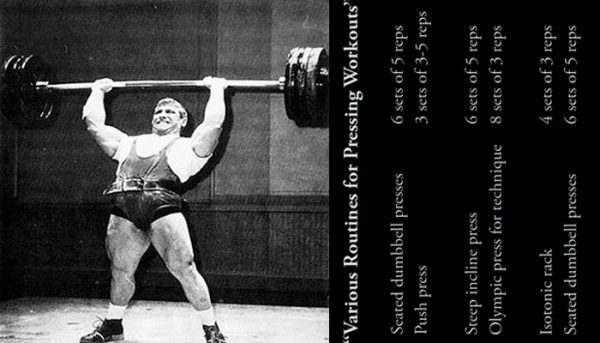 If it didn't work this way, volume would not be an important training variable. And we also think it self-evident that older trainees will tend to be more sensitive to any particular training stress, including volume, than younger trainees. If you don't believe this, just wait – it will become painfully apparent at some point in the future. But to be clear: Volume is a critical training variable precisely because it is stressful. Accumulation of sufficient tonnage must occur if progress is to be made at any level of training, for an athlete of any age or physiology. Everybody is volume-sensitive, which is what makes volume a critically important training variable. Masters, as a general rule, demonstrate more sensitivity to volume than younger athletes, just as they tend to demonstrate more sensitivity to other training variables. When we talk about volume sensitivity in the Master, we are not talking about absolute volume sensitivity. Nor are we saying, at all, that "Masters don't need volume." Indeed, some Masters require as much volume as their younger counterparts. But in our experience, most do not, and most Masters will respond to increases in volume beyond the minimal effective dose with excessive soreness, fatigue, blunted recovery, stalls, and the interruption or termination of training. 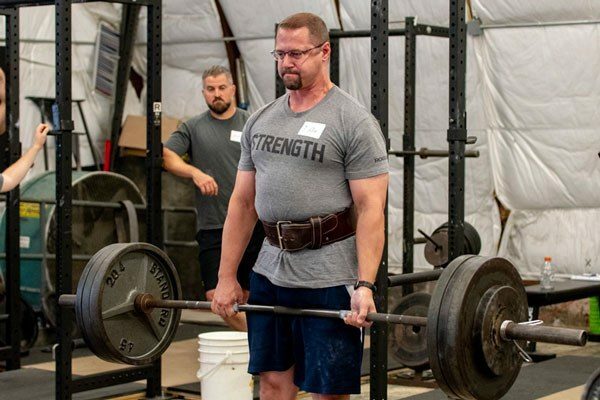 Like many other factors affecting the heterogeneous population of lifters over 50, volume-sensitivity is highly individual – which is exactly why The Barbell Prescription places so much emphasis on program individualization, especially after the novice phase. This isn’t just an observation. It has the virtue of actually making sense. 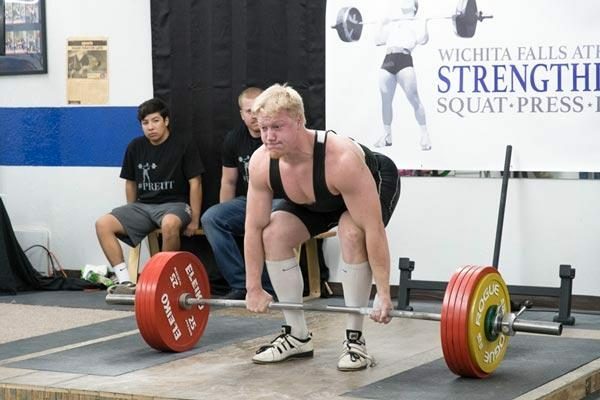 Even in younger athletes, we see that programs at high tonnage can lead to stalls, soreness, fatigue, and recovery issues, making management of volume an important variable that coaches ignore at their peril. It should come as no surprise that Masters will require more careful management of volume than gymbros. Consider two athletes, one in his twenties and one in his sixties, both intermediates. We impose a workout at the same relative high intensity, say 90%, at 5x5. And let's go ahead and have both athletes work at the same frequency as well (they both do heavy day or volume day on the same day every week). You simply cannot expect the Master to tolerate the workout just as well, recover just as quickly, have no more soreness, accumulate no more fatigue, and be able to maintain training at this weight as long as the slack-jawed, testosterone-sodden punk who instantly oxidizes Big Macs just by looking at them, sleeps like a baby without getting up to pee three times a night, and who doesn't have a prescription for losartan, a job, a mortgage, or that selfsame failure-to-launch twenty-something miscreant still living in his house. An interesting gedankenexperiment, to be sure. But we don’t think the outcome is in doubt. So what are the nitty-gritty implications for practice? A cursory inspection of The Barbell Prescription will reveal that, while we do use the principle of volume specificity in the modifications we make to some programs, particularly intermediate programs, we do not apply it indiscriminately or radically, and we repeatedly emphasize that training occurs on an individual timeline. We provide examples in which volume actually needs to be increased, and others where volume must be carefully managed so that Masters, especially those over sixty, can continue to make progress. 67-year-old Janet locking out 185. For example, if you examine the novice programs in The Barbell Prescription, what do you find radically different about volume? Nothing. We use 3 sets of 5. If you examine the intermediate programs, what do you find different about volume? Not much, and nothing radical. 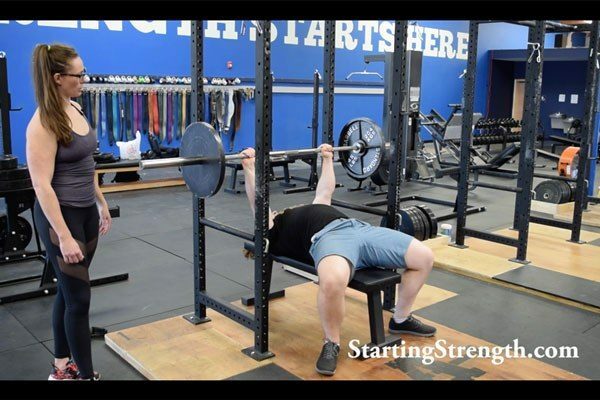 When a lifter begins to stall, we consider recovery factors first, and then we give consideration to other training variables, including a particularly careful assessment of volume. Judicious reduction in volume while keeping intensity high often works well in tired, stalling, under-recovered Masters, frequently and consistently enough that we elevated it to the status of a training principle for this population – where it has never failed us. This brings us to the issue of our empirical standard. We can't invoke a wealth of peer-reviewed data for our position, any more than we can rely on published data for the particulars of the Starting Strength model. 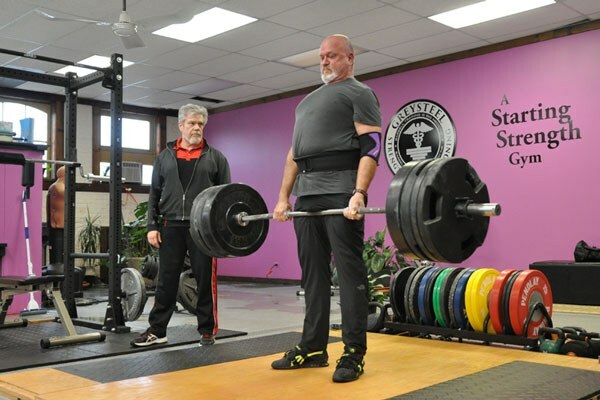 Proper investigations of training for Masters, especially using compound barbell movements in the context of long-term rational programming and nutrition, are virtually nonexistent. But field experience with this population is increasingly plentiful. SSCs like Baker, Sullivan, Koppel, Kurisko, Socolinsky and many others are working with ever-growing numbers of Masters in their practices. Sullivan's full-time practice specializes in Masters, who constitute virtually 100 % of his clientele. Baker has been in practice for over a decade, with about 75% Masters Athletes, racking up more than 20,000 client contact hours over his career. Under the bar. On the gym floor. You start to notice some trends. And one of those trends is that Masters tend to respond differently to training. The empirical foundation for our position that coaches should keep a wary eye on volume in the Master comes from actual field experience with this population and, quite frankly, a good dose of common sense. We did not write The Barbell Prescription for the Masters Division at the USAPL Nationals. We didn’t write it for the exceptional 63 year-old who’s deadlifting 525 and pressing 200 (or even intends to ever do so). That's why our treatment of advanced and competitive programming was cursory – it was beyond the scope of the text. We wrote the book for your Mom and Dad. And for their doctor. And the fitness director at the local YMCA. We wrote the book for the general Masters population, people in their 40s, 50s, 60s and older, who just need to get stronger – progressively, steadily, and safely – so they can live better, healthier, more vibrant lives. Our experiences in Masters practice have taught us that if these people are trained judiciously, they will stick with it and ultimately perform at a level that puts them way to the right side of the curve for the general population in their demographic. Some of them will be Born Again Strong under the bar, and dedicate themselves to the training more than most. Some will want to compete, some will simply want to be the Strongest Old Dude Around. These exceptional men and women will be willing to tolerate more soreness, more tweaks, more personal sacrifice, and more time on the red line than the average Master. Many of them will consequently gravitate to more grueling, high-volume programs to build truly exceptional strength and work capacity. We think that’s terrific. If that's you and you're reading this, we say: Good for you. Use what works for you. Really. Go forth and get strong. But you won't find those high-volume programs in The Barbell Prescription, because we wrote it for everybody. Yes, you can impose a really powerful training stress on a 69 year-old widow with very high volume or frequency. But our practice has shown us that this is rarely necessary to make her stronger. And if you're not careful, you can hurt her, or at least overwhelm her, and she may not come back to you – which is not the worst thing. The worst thing is that you have poisoned her on the barbell, and she never picks one up again. And she tells her friends, family, doctor, sewing circle, and skydiving club all about it. In a general Masters coaching practice, the aim is progress, compliance, and training longevity for our clients. We don't incorporate a "weeding out" process that administers an overwhelming dose of training stress that can only be managed through optimal nutrition, rest, and active recovery. When working with the general population, and particularly with Masters, the experienced coach operates under the assumption that recovery and compliance are rarely 100% optimal, and programming must be a reflection of this reality. We must also consider the relative risks of "undertraining" vs "overtraining" a Masters Athlete. When an athlete is under-stimulated due to a lack of volume (reps and sets, frequency), intensity, or both, we tend to observe stagnation. The client isn't regressing, he just isn't moving forward. In other words, he’s stuck. The good news is that this is easy to fix – by adding volume. Tack on a few sets, add an additional lower stress day to the week, perhaps increase the intensity of the volume protocol. With careful adjustments and observations, guided by experience, it's usually a very tractable problem. In contrast, the overtrained athlete usually displays regression. He isn't just stuck, he's going backwards. The problem is often compounded by inflammation, fatigue, a loss of motivation to train, or even injury. Masters just don't handle fatigue as well as young bucks do, inflammation likes to hang around longer, and injuries don't heal as fast. This is not an easy fix. Digging any athlete out of a state of overtraining is no small matter, and digging a Master out of that pit is even more difficult. Knowing all this, why wouldn't the experienced coach err on the side of maybe doing too little with the Master, rather than too much? Yes, both are programming errors, but if we have to make the judgment call with a late novice or intermediate Master, why not err on the side of the mistake that's easy to correct? The foregoing discussion should make clear that, while we find volume sensitivity a useful training principle, it's not an ideology. We’re not interested in absolutes. We are in neither a “high volume” camp nor a “low volume” camp. We’re in the optimal volume camp. Whatever minimal effective dose of volume works for the individual Master to drive progress is the right amount of volume. Our experience informs us that this optimum, like Masters themselves, will be found across a broad spectrum, from single work sets once per week, to multiple sets across, multiple times per week. And in general, that optimal level of volume for a Master to make safe, steady, consistent progress will tend to be less, not more. Novice Masters, even octogenarians and beyond, can almost always start with a vanilla novice set-rep scheme, three sets of five, ABA template, and proceed much like their younger counterparts. 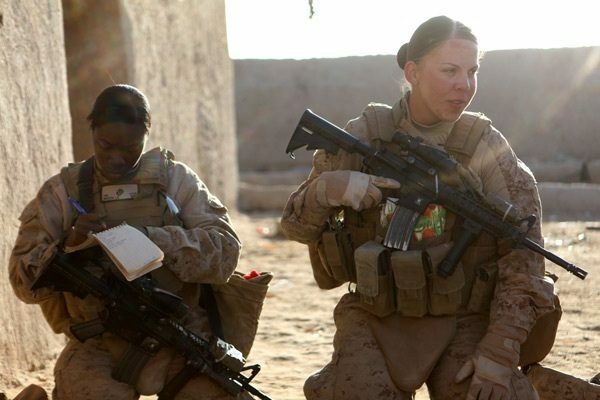 But some won't, and the percentage of those who will require modification will be far, far higher than observed in the younger population. As the Master progresses to intermediate, he can usually make progress with HLM, Texas, 4-day splits, and other popular templates modified to suit his individual needs, goals, and limitations. And those modifications will more frequently (but not invariably) involve reductions in volume than they will for the younger population. The principle of volume sensitivity is important, but it is just one of many we have found useful in the training of Masters, to be used no more blindly or indiscriminately than any other factor. The message of The Barbell Prescription is not to be found in any particular program or training variable or principle, and we do not summarily reject any rational program constructed on the foundation of the Stress/Recovery/Adaptation cycle, either in the book or in practice. That is ideology, and that’s not our thing. Indeed, our book details how a wide variety of programs can be modified to suit the intermediate Master. Those who read the book astutely will note that this approach of tailoring the program to the athlete is a far more fundamental theme than that of volume sensitivity. But even that is not the heart of it. 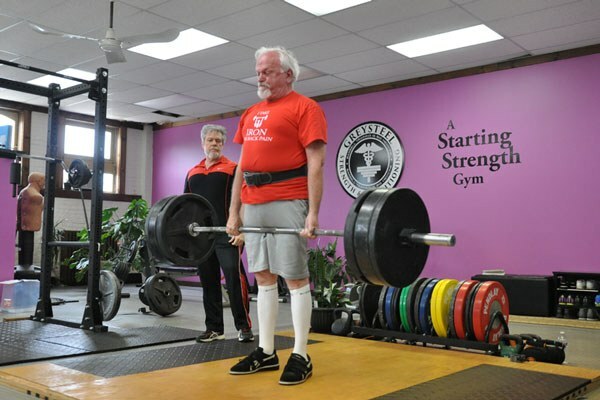 The Barbell Prescription's central message is that strength training is the most powerful, comprehensive, and prescribable form of exercise medicine for the aging adult. So Masters need to get strong, even more so than their undeserving children and grandchildren. And if we train them intelligently, bearing in mind their needs as both members of a population and as individuals, they will get strong, by using the same equipment, exercises, and overall programming principles as their younger counterparts.